Monday - Friday: 6:00 a.m. – 5:00 p.m. 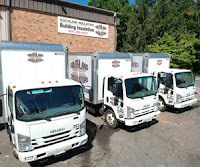 Since 1986, Southland Insulators has been the best choice for residential insulation and commercial insulation services in the Arlington, Manassas, Northern Virginia and Washington D.C. areas. When you choose us for your next insulation project, you’re choosing an insulation contractor with an unmatched reputation for quality, customer service, and expertise. We have been a leader in top quality insulation installation and replacement for more than 30 years. Southland Insulators was one of the first insulation contractors in the region to be officially accepted into the National Association of Home Builders Research Center Certified Contractor program. We have proven ourselves as the name to trust for superior quality insulation service, selection and value. Whether you’re seeking a complete insulation install in a new home project or are looking to replace or repair insulation within a large commercial structure, we have the resources and expertise needed to make it happen on time and within your budget. Our insulation professionals offer a wide variety of insulation products and installation methods to meet the needs of your next residential or commercial project. We understand insulation and have the expertise to tailor our services to exceed your expectations. 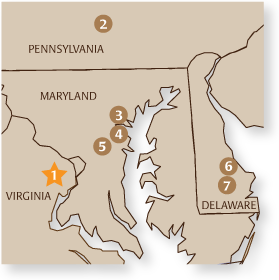 Customers throughout Arlington, Manassas, Northern Virginia and Washington D.C. have turned to Southland Insulators for the best in insulation quality, service and value. We are the premier residential insulation and commercial insulation specialists in the region. We are committed to providing the service, selection and flexibility your project needs to be successful. Whether you're looking for complete insulation installation or would like to replace underperforming insulation in an existing building, our experienced insulation team is here to serve you. Our goal is to provide you complete customer satisfaction using the best in insulation products and installation techniques available. Southland Insulators commercial insulation division provides a wide range of insulation solutions to handle your commercial project. Our commercial insulation products and techniques include sound control, fiberglass insulation, spray foam insulation, stick pin applications, Blueskin and curtain wall systems. We understand the importance of staying on time and on budget, aiming to bring you the highest quality installation services at an affordable price. Whether you’re building offices, warehouses, a medical building, luxury apartment building or other commercial buildings, you can trust our experienced insulation contractors at Southland Insulators. Schedule your free estimate today by calling (703) 368-1965!